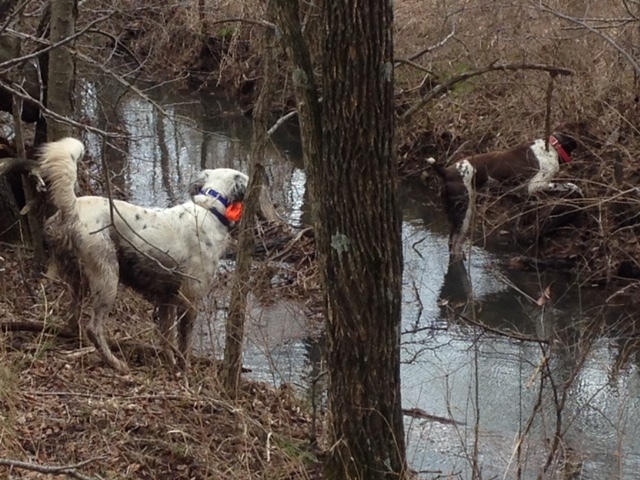 Ruby, my 2-year-old German shorthair, pointing a single quail on the creek bank. Blue, owned by Eric Johnson, backing. Last hunt of the season.